Lenovo has thrown down two new Chromebooks, one of which can snazzily flip between tablet and laptop modes. Supplementing the standard laptop and tablet modes, the Chromebook’s screen can be folded back or the machine can be stood on its edges, thanks to its flexible hinge. The top cover of the units sport LED’s to indicate wireless connectivity, power levels or sleep mode, so teachers can easily see that the machines are up and running. 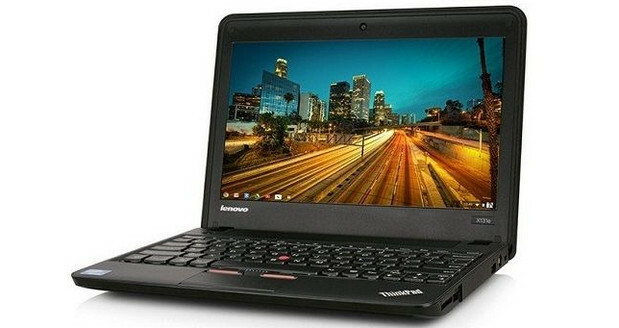 There is also a standard ThinkPad 11e Chromebook released, that comes without the smartypants swivelling hinge. Full specs are yet to be revealed , but both devices will come with an 11.6in touchscreen screen, and be protected by rubber bumpers, reinforced ports and tough hinges, and offer an weight hour battery life. The convertible Chromebook also comes with an HD LED display. UK pricing and availability is yet to be announced, but the two Chromebooks will start from $349. ORLANDO, FLand RESEARCH TRIANGLE PARK, NC –January 29, 2014: Lenovo (HKSE: 992) (ADR: LNVGY) today announced at the Florida Education Technology Conference (FETC), the ThinkPad 11e series of laptops, designed specifically for education and ruggedized for classroom performance. Thin and light, these purpose-built devices offer education administrators the durability necessary to succeed in the hands of K-12 students and the flexibility to meet the increasingly changing needs of their technology demands. The ThinkPad 11e series is available in two form factors: traditional laptop or Lenovo’s innovative Yoga multimode form with four unique positions: laptop, tablet, tent and stand. The ThinkPad Yoga 11e devices offer students a system that can adapt to their needs based on the application or the content they are working with. The ThinkPad 11e series provides students, educators and administrators with an intuitive, easy-to-manage rugged device. Sometimes kids drop their laptops. Sometimes kids throw their backpacks with their laptops in them. Features like rubber bumpers, reinforced ports, and stronger hinges are included to protect the system from the hustle and bustle of the classroom. The 11.6-inch HD LED antiglare screen on the traditional laptop provides a clear display in any environment. The ThinkPad Yoga 11e devices have an IPS wide viewing angle touchscreen displays. Each device is powered by an Intel® processor – fast boot times mean that classes can begin quickly without delay, and all day-long battery life allow students to breeze through classes without switching to alternative power. Top cover LEDs indicate wireless connectivity, laptop power or sleep mode to help teachers ensure consistent student activity. The ThinkPad Yoga 11e and the ThinkPad 11e offer an excellent Windows experience in education. With optional applications like LanSchool and webNetwork, these devices become excellent solutions for IT administrators by adding simple, reliable classroom management and access to files and applications from any device. Intel® Education Software helps students develop 21stcentury skills through rich, interactive applications and is also optionally available for these devices. 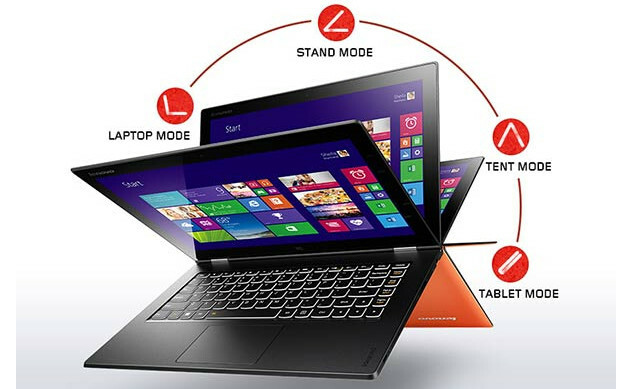 On the ThinkPad Yoga 11e, Yoga Modes in Lenovo Settings recognizes when the user switches modes and allows apps to adapt for the best experience. The ThinkPad Yoga 11e Chromebook and the ThinkPad 11e Chromebook make it possible for any school district with an internet connection to deploy a 1:1 computing program. These laptops are fast, simple, secure, always up-to-date and offer more than eight hours of battery life – ideal for the classroom. They are also easy to manage – ideal for administrators. Customization options are also available to meet the unique needs of schools so students and educators can easily manage their devices, including asset tagging, BIOS modifications, laser engraving and custom imaging. Color options include Graphite Black or Silver.